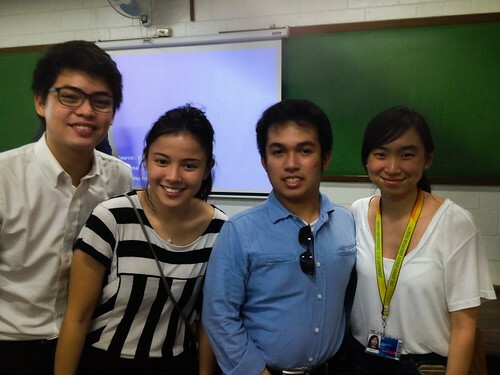 The Autism Society Philippines was invited by Ateneo Special Education Society (SPEED) on 27 February 2015 for the SPEED Area Workshop on Autism at Berchmans 206 in Ateneo De Manila University. -How do you define autism for people to better understand this condition? -What makes you similar to other people without autism? -What makes you different from others? -What helps you cope/deal with or survive the challenges you encounter in your life because of their condition/autism? -How can you achieve these plans? The Ateneo Special Education Society is a long-time partner of ASP and organizes programs and events for individuals with disabilities; as well as participants in many ASP events. About the contributor. Carl Veluz was non-verbal at the age of 5, when he was diagnosed with autism. With perseverance and hard work, he graduated from high school in 2010. He continued his education at the Entrepreneurship School of Asia and most recently, at the Independent Living and Learning Center in Mandaluyong. Carl works as a staff assistant for his father's business and works part-time at Puzzle Gourmet Cafe in Quezon City. He continues to tend his on-line business called "Gregarious Gifts".